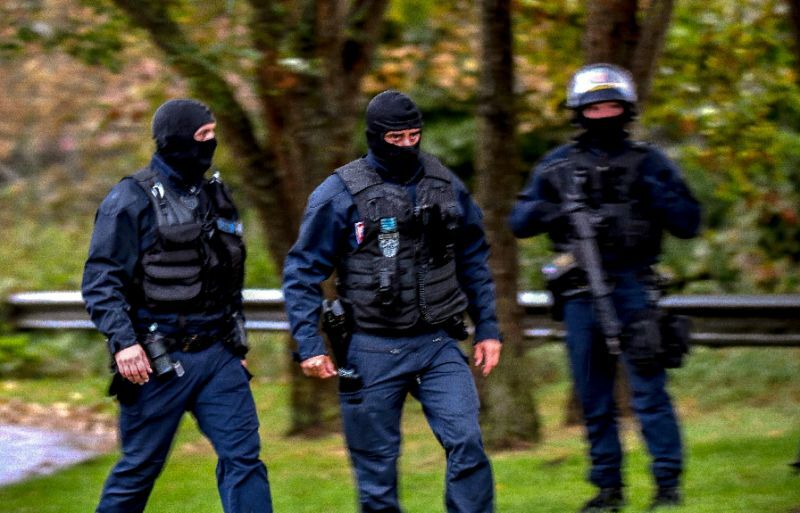 In what might be one of the more anti-climactic findings revealed yet about the Iranian regime, France publicly linked Iran’s notorious intelligence services to the failed plot to bomb a meeting of Iranian dissident groups near Paris last June. A plot of “such extreme seriousness on French territory could not be let go without a response,” France’s ministers of foreign affairs, interior and finance said in a joint statement on Tuesday. France also acted by announcing it would freeze the assets of the Iranian regime spy ministry, otherwise known as the Ministry of Intelligence and Security (MOIS), which has been the puppet master in a string of terror attacks and assassinations spanning decades, and most recently spearheaded efforts to utilize social media in coordinated cyberattacks against Iranian dissident groups. According to the New York Times, the decision to freeze the assets of the spy ministry seemed to be a clear sign France was angry that Iran appeared to be ignoring international norms and acting with impunity. It also indicated that, at least indirectly, France endorsed the Trump administration’s judgment that Iran was a rogue regime. The French findings certainly didn’t help the Iran lobby’s ceaseless campaigning to have European nations bail the Iranian regime out of its financial woes that have only increased since the U.S. withdraw from the Iran nuclear deal and began levying economic sanctions. The source, speaking after the government announced asset freezes, added that deputy minister and director general of intelligence Saeid Hashemi Moghadam had ordered the attack and Assadollah Asadi, a Vienna-based diplomat held by German authorities, had put it into action. The ministry is under control of top mullah Ali Khamenei, which makes the decision to bomb the Iranian resistance groups on French soil even more brazen and a deliberate act of state policy by the regime. According to Reuters, the plot targeted a meeting of the Paris-based National Council of Resistance of Iran (NCRI) outside the French capital. President Donald Trump’s lawyer, Rudy Giuliani, and several former European and Arab ministers attended the rally. Paris has also suspended nominating a new ambassador to Iran and not responded to Tehran nominations for diplomatic positions in France. The plot marked one of the first times that an Iranian official has been caught allegedly taking part in a covert operation in Europe. Police in a number of different European countries are investigating alleged attacks against Iranian opposition figures, including two murders in the Netherlands since 2015. In July, Dutch authorities said they had expelled two Iranian diplomats whom foreign officials say were linked to the assassinations of at least one Iranian dissident, Ahmad Mola Nissi. He was shot and killed in November by a masked assassin in The Hague. U.S. officials believe Iran’s MOIS was involved. Dutch authorities are investigating, according to the Wall Street Journal. Considering the precarious state of the Iranian economy and near-constant state of demonstrations against the regime, it is mind boggling the mullahs would order such a reckless act given Iran’s desperate need for an economic lifeline from Europe. But past history shows that the mullahs care less about rationality and more about silencing the perceived threat and free and open opposition poses to their continued existence. The pressure being mounted by outside opposition and dissident groups has helped drive internal protests, as well as ensured a steady conduit of videos, pictures and eyewitness reports continue to stream out even as the regime tries to stymie the flow of information with stepped up arrests and imprisonment. Also on Tuesday, around 200 French police launched a dawn anti-terror raid on one of the biggest Shiite Muslim centers in France, the Zahra Centre France, as well as the homes of its directors. Eleven people were questioned — three of them arrested, security sources told AFP, including for the illegal possession of firearms. The Zahra Center France was founded in 2009 by Yahia Gouasmi, a pro-regime activist and religious figure who has spoken in support of Hezbollah. Gouasmi is also the founder of the Anti-Zionist Party in France and an associate of controversial comedian Dieudonne M’bala M’bala, a convicted anti-Semite. While not specifically linked to the bombing plot, the raid sent a clear signal by French authorities to Iranian regime officials that the era of cozy accommodation was at an end.